In keeping with its commitment to foster sustainable tourism in the Hawaiian Islands, the Hawai‘i Tourism Authority (HTA) is providing funding of more than $3.5 million to 124 programs that are perpetuating Hawaiian culture, protecting natural resources and showcasing community events in 2018. Recipients of the funding are nonprofit groups, community organizations and individuals statewide who have demonstrated through proposals submitted to HTA their dedication to strengthen the enduring qualities of Hawai‘i’s legacy that distinguish the islands as a place to live and visit. A total of $1,240,000 is being awarded to 33 recipients that are perpetuating Hawaiian culture through HTA’s Kukulu Ola program. Awardees include community groups, practitioners, craftsmen, musicians and artists committed to strengthening a broader understanding and appreciation of Hawaiian culture through place-based activity engagement. 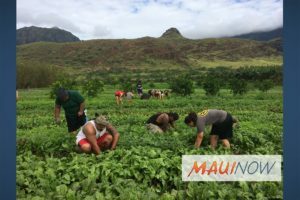 A total of $1,150,000 is being awarded to 26 recipients that are helping to protect Hawai‘i’s natural resources through HTA’s Aloha ʻĀina program. Focused on the lasting value of stewardship by responsible community-based entities that emphasize ‘āina-kanaka relationships and knowledge, the Aloha ʻĀina program supports efforts to manage, conserve and revitalize Hawai‘i’s natural resources and environment. Click here  for the listing of awardees receiving funding from HTA. For more information about HTA, visit www.hawaiitourismauthority.org .